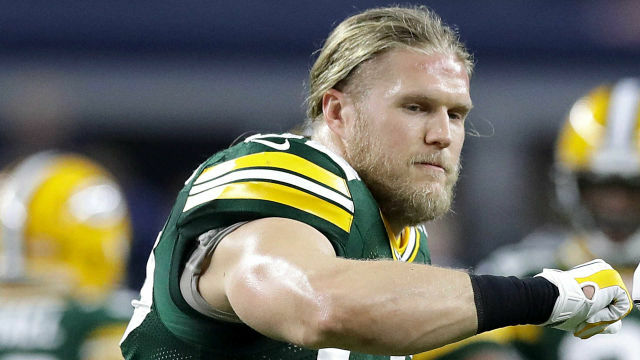 Clay Matthews is leaving Green Bay for a good chunk of money and the opportunity to play for the Rams in Los Angeles, near his hometown and where he currently lives in the offseason. According to Mike Garafolo of NFL Network, the former Packers linebacker signed a two-year deal worth up to $16.75 million with the Rams. Even if the Packers wanted Matthews back, there was likely no chance GM Brian Gutekunst could have realistically matched the Rams’ offer, especially with geography working on the Rams’ side. Matthews, who just had his third child, grew up in Southern California and went to USC. Signing with the Rams provides an opportunity for Matthews to wind down his NFL career exactly where he’ll reside post-football. The Rams also just represented the NFC in the Super Bowl in February, and they’ll be one of the favorites to get back there in 2019. Matthews leaves Green Bay after his five-year, $66 million deal expired following the 2018 season. He departs as the franchise’s all-time leader in sacks with 83.5. The 32-year-old linebacker played 10 seasons with the Packers. He made six Pro Bowls and three All-Pro teams and finished second in the Defensive Player of the Year voting in 2010, the same year the Packers won the Super Bowl. The Rams have invested in two veterans on the defensive side this offseason, signing Matthews and safety Eric Weddle. Matthews has 11 sacks in 15 career playoff games, the most in Packers postseason history and tied for fifth in NFL playoff history. Although he primarily played outside linebacker and edge rusher, Matthews spent parts of the 2014 and 2015 seasons as an inside linebacker, which likely was a key factor in the Rams’ decision to sign him. The Rams recently released veteran inside linebacker Mark Barron and saved $6.33 million in their salary cap, but Barron’s departure left a significant hole in the defense.